Why is the navy ripping apart its seaman in these ads? 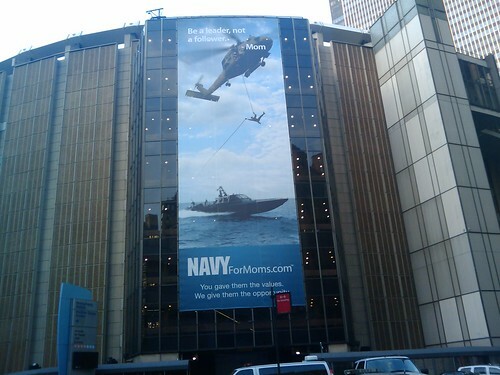 Why is the navy ripping apart its seaman in these ads?, originally uploaded by baratunde. You gave them the values. We give them the opportunity. Our vehicles pull them apart.